Discover how Xamarin and MvvmCross can help you build your next generation connected apps! 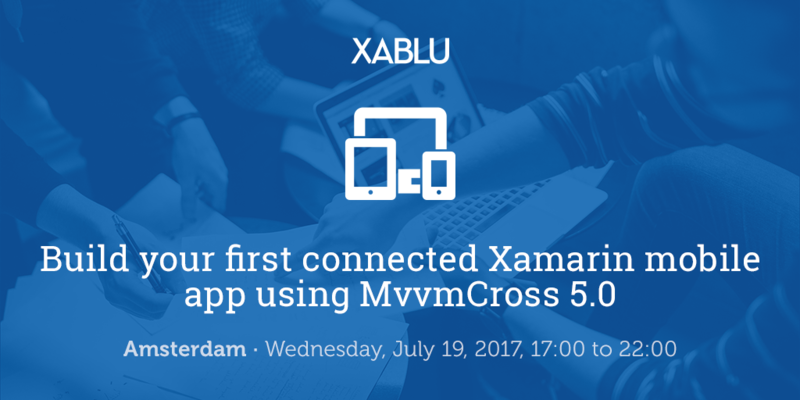 Join us for our next meetup in Amsterdam, aimed at mobile developers from rookie to MVP who want to learn how to create Azure-connected apps using Xamarin and MvvmCross. We’ll start with an update on MvvmCross 5.0, followed by a hackathon where you can get hands-on experience building a connected app with Xamarin, MvvmCross and Azure, with the chance to ask questions and get advice from the experts.